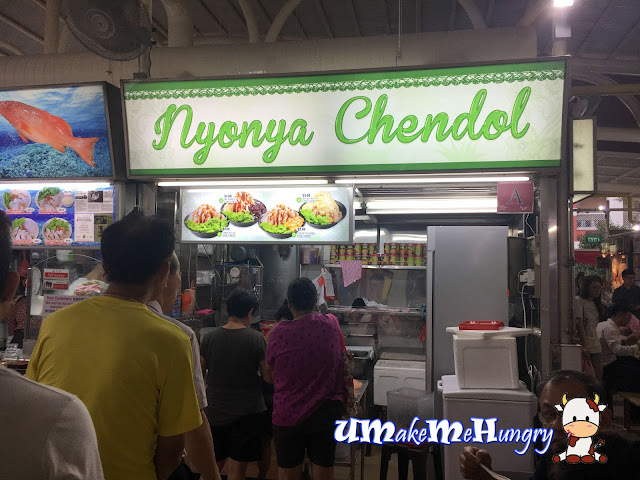 The snaky queues of the Nyonya Chendol had caught our attention and we decided to have a bowl of it after our meals. The menu of the stall is pretty straight forward as there are only 4 choices available. The original chendol or with corns, red beans and Durian. Being spoilt with a variety of chendol in Malacca a few weeks back, my expectation of Chendol could have been more. 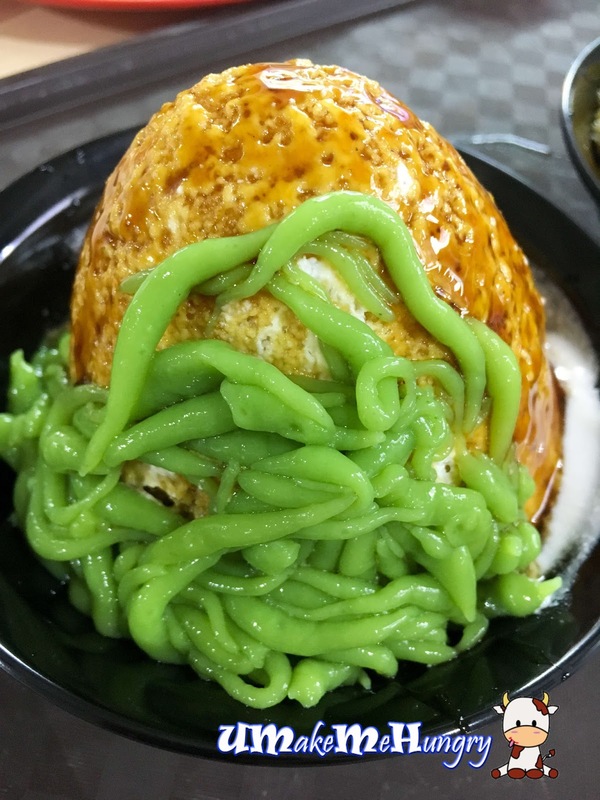 In fact I find this chendol filled of Coconut Cream and was not up to my expectation. 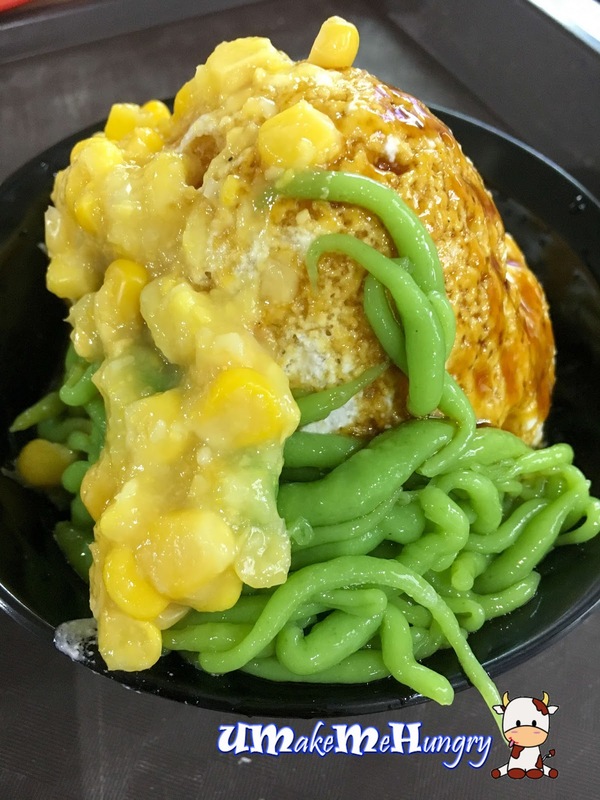 Even though Gula Melaka was used, I still find that the dessert tasted "Jelat" overall. On a side note, the coconut jelly used was green and plump in size. 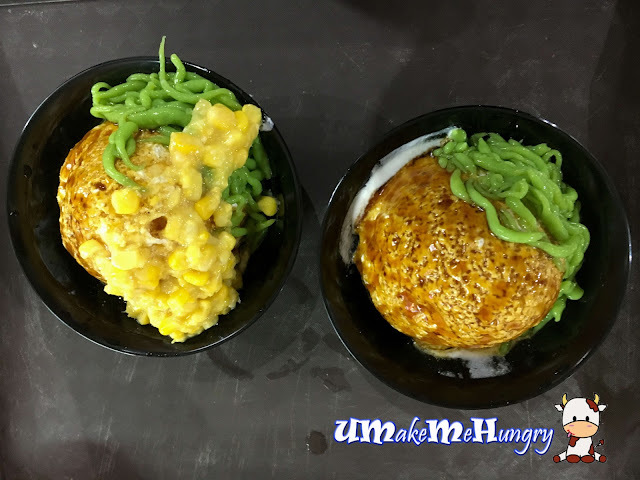 I topped up my portion of original Chendol with sweet corn. Here's what we had ordered.